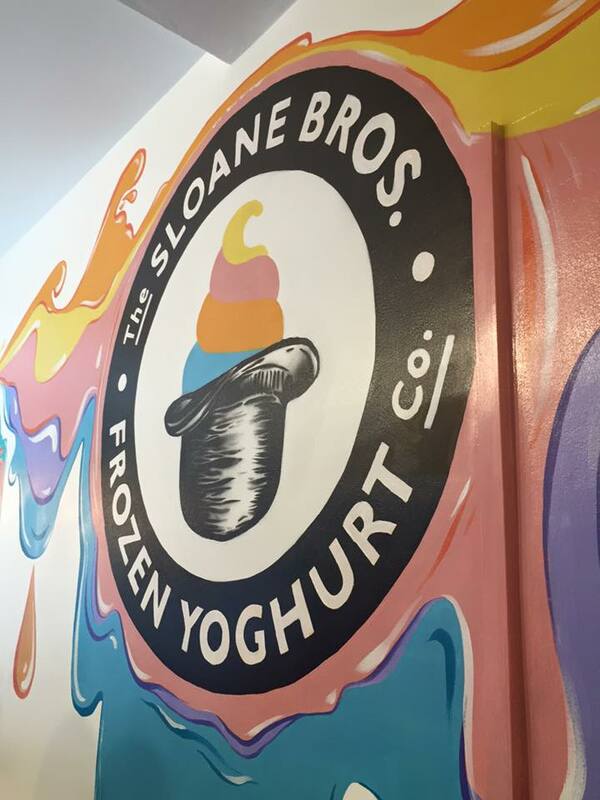 Sloane Bros Frozen Yoghurt Co.
Can you fall in love with a frozen yoghurt shop?! If you can, I certainly did at the weekend! The sun was shining, the weather was sweet, made me wanna eat lots of frozen yoghurt to keep cool so it was lucky that Sloane Bros Frozen Yoghurt Co. were on hand to serve myself and my good friend Hermione some of the best fro yo we’ve ever eaten! 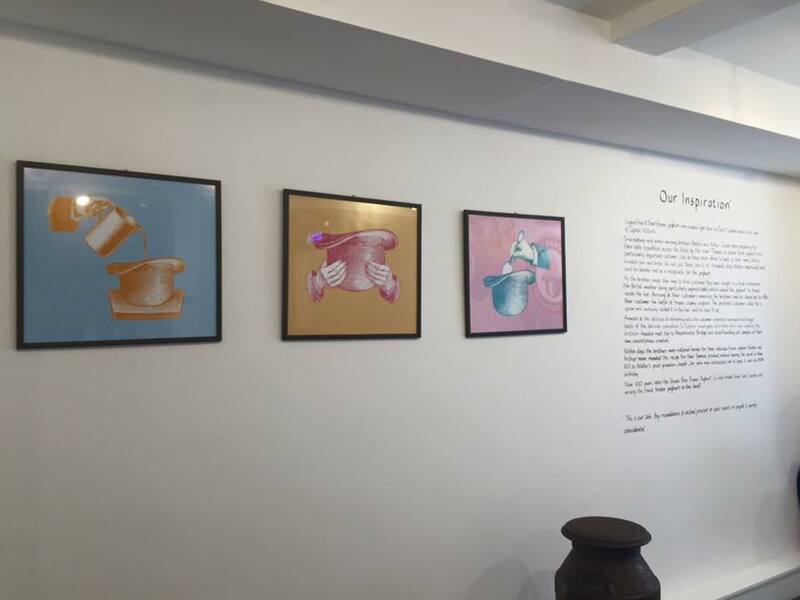 The Sloane Bros Frozen Yoghurt Co., opened its doors on Brick Lane in Shoreditch about 2 weeks ago now and they are proudly serving thick and creamy British-sourced fat-free frozen yoghurt. 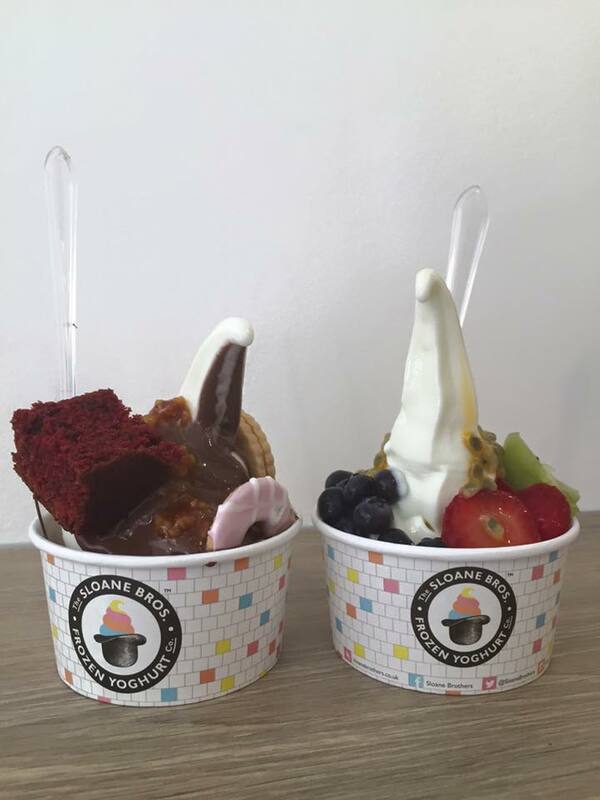 Frozen yoghurt lovers can be as virtuous or extravagant as they like, with a choice of fat free frozen yoghurts topped with sauces, fresh fruits, confectionary and crumbled classic biscuits. Sloane Bros recognises that as a nation we are very patriotic to our British ways and nothing says this more than the traditional biscuit. Whether you prefer Jammie Dodgers®, Pink Wafers, Bourbon creams, Party Rings®, ‘squashed fly’ Garibaldis, Sloane Bros will offer an ever changing selection of both contemporary and old-fashioned British biscuits and other toppings, ideal as an elevenses or refreshing afternoon treat. Ok, so on to the good stuff..
Can you guess which one is mine?! The naughty one of course! Although fro yo is fat free so it’s not too bad! I was so upset when my pot came to an end as the flavours were perfect; the red velvet was homemade too! The venue itself is bright, airy and the staff were awesome. Owner Joseph made us feel right at home and took the time to chat with us, which on a sunny, busy afternoon was really nice of him. If you’re in Brick Lane drop by, you’ll regret not going to be honest! The Brompton Bar & Grill, London. 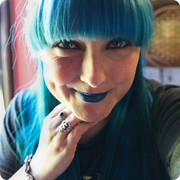 "Ideas to Help You Look and Feel Better Than Ever This Year!"